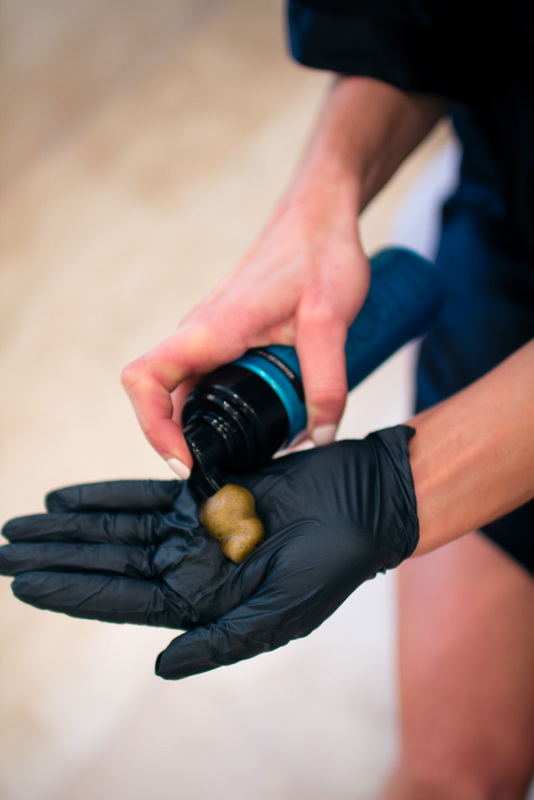 Today I am sharing which products I use to achieve a natural looking, sunless tan. So many of you have asked about and I am excited to finally be sharing the details. First, can I just tell you guys I have literally tried every sunless tanner out there. I banned the tanning beds and laying in the sun covered in baby oil many years ago, and since then I have been on a mission to find the best sunless tanner. My requirements are one that is streak-free, pleasant smelling, and natural looking. I discovered my absolute favorite tanner thanks to my beauty guru at Nordstrom. 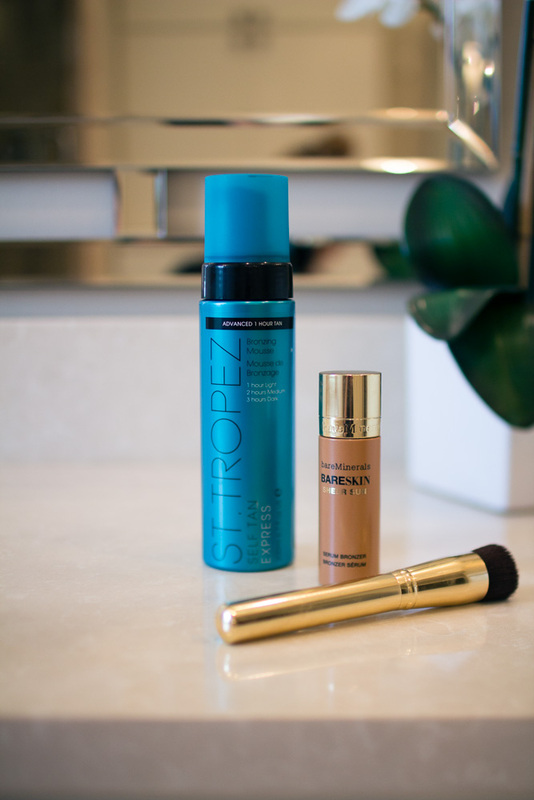 She suggested the St. Tropez self-tanning line and I have been hooked ever since. They have several products and my favorite is the Bronzing Mousse. It is natural and healthy looking and last for days. Plus, it only takes 1-3 hours for your tan to develop depending on how deep of bronze you want your skin tone. This is the first self-tanner I have ever used that does not smell like a fake tan at all. It actually smells really good. It is really easy to apply, and is streak free which is so nice. I love that it is quick drying and non-sticky. I apply with normally a mit to apply. If you don’t have a mit I would suggest a latex glove. Using the mit, I then apply to my legs, arms, and torso. For my neck, feet and hands I use a thick round brush to ensure I cover all spots. I never used to think of tanning my hands or feet, until one day Michael poked fun at how pale my feet and hands were compared to the rest of my body. So don’t forget to tan those as well! 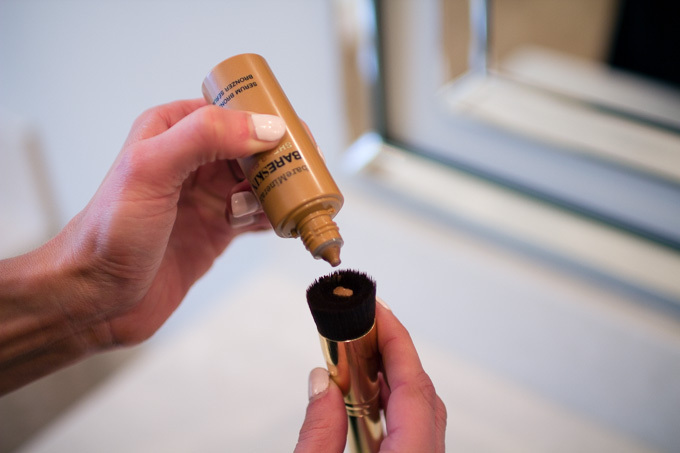 For my face, I just started using bareMinerals Sheer Sun Serum bronzer. I don’t like applying a normal self-tanner to my face and prefer to use products specifically designed for the face – like this product. 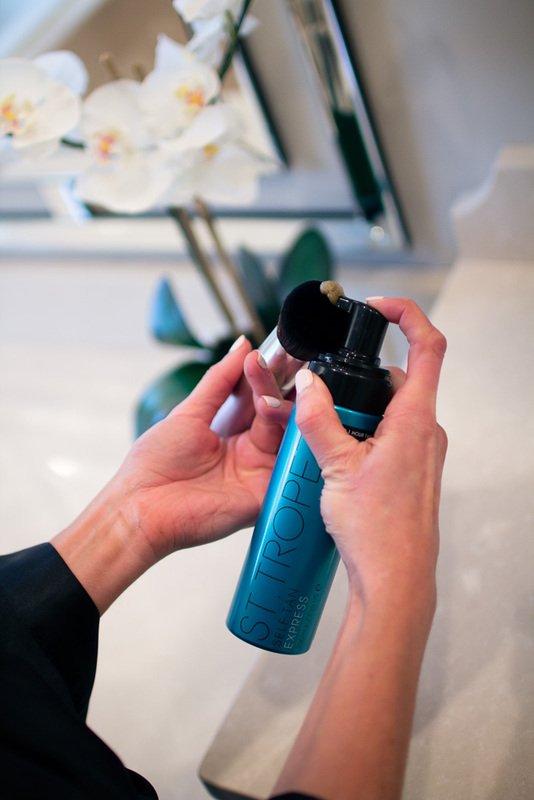 It is a serum and sheer bronzer in one – so you will apply daily (unlike the sunless tan products). 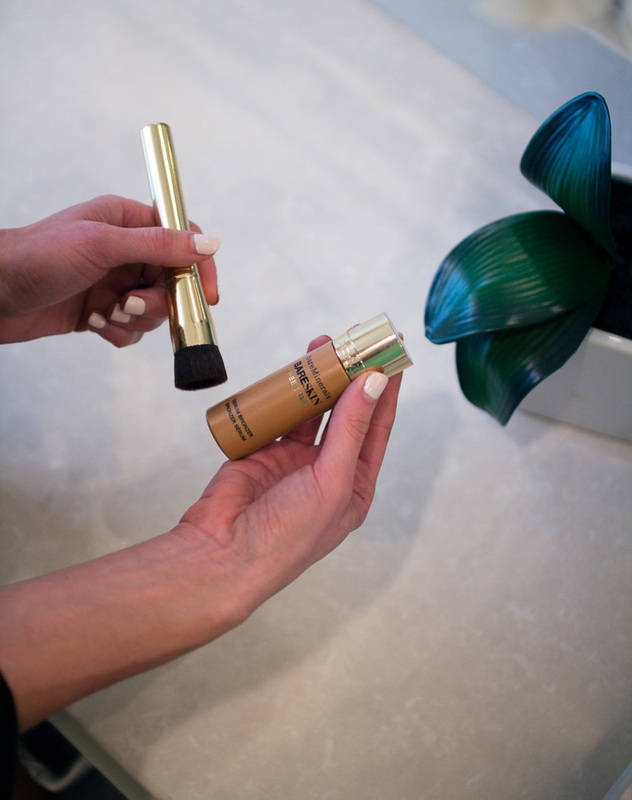 It’s super lightweight and adds a natural sun-kissed glow to any skin tones. I apply in my contour spots- cheek bones, hairline, nose, and chin and it can be layered over foundation. 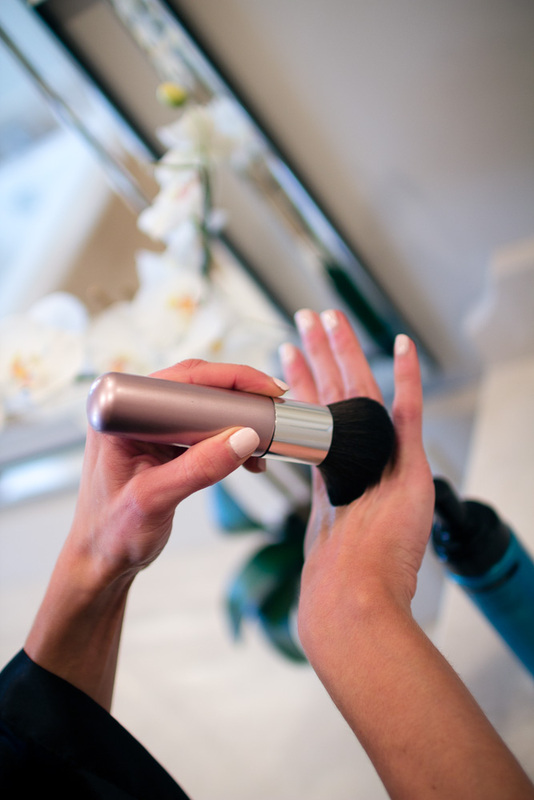 You can use your fingertips to apply or I use the bareMinerals Perfecting Face Brush. Lastly, to really enhance my face glow I use bareMinerals ‘Invisible Light’ Translucent Powder Duo. This matte side absorbs oil and the glow side adds a sheer highlight to your highlight areas-cheekbones, forehead, and nose. Voilà! That is how I achieve my sunless tan! Any questions feel free to reach out on my snapchat or instagram. Obsessed with St. Tropez! I actually got an INSANE deal on the mousse on Cyber Monday last year (on their website). I think it's by far the best self tanner out, takes days to fade, and you're right, doesn't smell terrible! When is the best time to shave/wax when you are planning to self tan? Same with when to moisturizer!I can never get that right. Also how do you handle streaks that appear or the stains on hands/wrists/ankles when you self tan? I have always been amazed at your perfect glow….thanks for sharing these products! 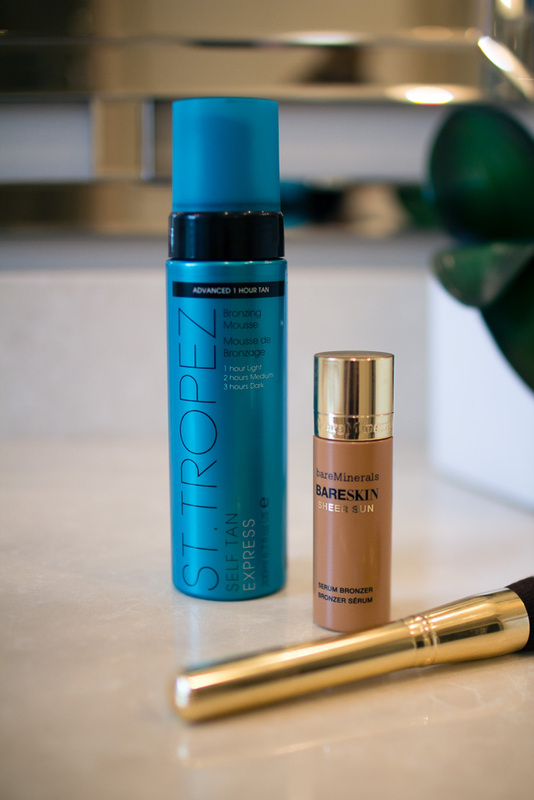 Is the st tropez self tanner safe to use while pregnant?